the web? What computer tools and materials will you require? Please do not let your questions go unanswered! For example if you are interested in a car- for example- a 1966 Pontiac Catalina. -You should know that you are interested in a car. The web will relate to your favorite car upon as many such dimensions as you can think up. As you think up these dimensions you will develop a list of key words. Write these down. Leave plenty of space for adding new ones. your interests and can help you reach your goals. to use the web efficiently you will also have to use the other dimensions. How will you plug in to the internet? Before we begin it is important to know how you will use the internet. can save you much time and aggravation. at the top with rings can be of great assistance. Write each step in a process on a card. to one activity after another simply flipping over the card stack when you wish to go home. It is helpful to tab or use an initial colored card for each process. you get a chance look into the internet programs on the computer you will be using. in Baltimore is very helpful with set up and dial in instructions. Call them at: 410-396-4636. Whatever you do however, do not fail to take detailed and exact notes and write them in a permanent book. Once you have studied the options below you will be ready to equip yourself with tools which will make you independent of your home or office computer.There are many ways to connect to the internet some can view pictures and are called Graphical and others do not view pictures and are called non-graphical. You should learn how to use both. Procedures for your Provider/Host Computer- login,password, and other settings. The help number for your operating system (windows etc...) or for your computer. What Browser will you be using if any? How do you find and turn on the programs? know where to find them later. Take a moment to look over things so that you will know what to do when the time comes. once but that you write down how to do it again in a secure place! computer without paying a cent and without dialing a long distance number! If you have other programs consult their manufacturer or manuals. I have given the settings as grouped in windows 95 other programs will differ. number in the settings box. -your modem should be correctly listed in the slot at the bottom- if not make adjustments. cancel if not connected in 60 secs. Now that you are set up lets dial in- be sure to save your settings! Dialing In to Sailor!-direct from home- Note you will not start up your commercial account access. 1. Open up the hyperterm program set for sailor. 3. The modem will dial and connect and eventually a set of instructions will be at the bottom. 4. Don't select the library select the sailor option.Type in its number and hit enter. 11. For the purposes of today's lesson practice using the menu items. page address. When it is right hit enter. You can delete by using backspace. Web addresses must be correct and accurate including case (caps). 14. When you are done use your left arrow key to go back to Sailor and back to the top of sailor. when the options screen comes up select q and enter again. A browser is an Internet computer program which makes sense of information contained on and linked to web pages that you can read them on your computer terminal. If you have graphical access to the Internet you will need to select a graphical browser. Perhaps this has already been done for you. Generally the key here is size. Browsers come in all sizes. If you can put both Internet Explorer (http://www.microsoft.com)and Netscape Communicator (http://www.netscape.com)on your hard drive you should as both provide unique ways for looking at and using web pages. Whatever browser you select you should get to know all of its settings and options. Here are a few places to go for evaluations of browsers. ThreeToad WWW Browser Comparison Page -(http://www.threetoad.com/main/Browser.html) Come see what the world (wide web) looks like from some one else's point of view(er). Consider for a moment how you will relate to the Internet. dusty information. But wait a moment! It is much more than these things. The Internet is in fact a village- a gathering of many people from all over the world. There is at least one person behind each web page. There are people gathered in chat rooms, on e.mail lists, news groups and even some gather round on guest books. Web pages are only the storefronts. The real knowledge - the dynamic information sources are the people themselves. We must go into the web page and seek them out. When we search the Internet we must not restrict ourselves to the search engines which all lag several months behind in their indexing of the web. We must extend our searches to the communities of authors who gather to discuss new developments and web pages in real time. We must write the author of that good web page and find out if he knows of any others or if he has information he has not yet added to the pages. 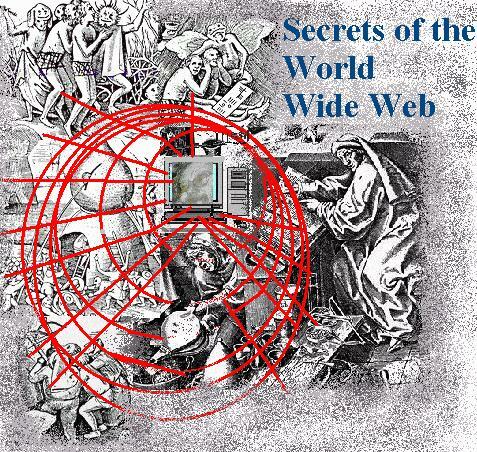 I hope you will enjoy the World Wide Web and the Internet as your new village. Just as the Internet and the Web are villages so to your Internet life is not just a book on the shelf. Your Internet life is a living thing. As with bread -it is alive its leaven the speeding electrons. You need to live that life in tandem with your more material life. You must walk with it together and obtain continual exercise. Actually it is quite easy. Check your e.mail frequently- maximize its speed and get responses off quickly. Check in with the communities regularly - go to them even if you do not seek information. Help others by trying to answer their questions.Information exchange conducted freely is one of the true values of the Internet. Find a web presence which will contribute to the availability of free information along side your more commercial store front. Learn how to use public terminals in all of their flavors and colors to maintain your presence in the village no matter where you are. Maximize the use of free services. The Internet is not about computers it is about people. It is not a dusty book or a carnival it is a home and a place to live. In order to access the bells and whistles on the web you will need a few essential programs. These programs read information and transform it into sounds and images. Your web browser will let you know when there is someting on the web page you whish to read that it can not process. It will then let you know that you must get a helper program and will direct you to the appropriate page for download. You will need some basic programs to process popular informaiton formats. Two such formats are real audio and shockwave. These two formats are used to write web pages and sound files. You will also need a program for connectivity- Telnet. This program is generally installed with your operating system in the windows directory, but if it is missing you will have to install it. Click here for one. The general rule of thumb for helper applications is to find out which ones crop up often in your travels on the web. Those are the ones you will need to download and install. The internet peasant who is interested in mobility and independence from his or her home computer will require a few more programs. These should be able to be loaded as installed on a floppy disk. They should be loaded uninstalled onto another floppy disk . I list these below. Word Processor/Text Editor- Many public terminals do not have word processors installed. You need a word processor to write and edit web page files.When using netscape tell netscape to use the programm to view source. Go to options then to general preferences then to apps and then select the slot for view source broows the drives to the a. drive or wherever the .exe program for the editor is and save settings- using ok..
Telnet- You will need a telnet program to contact and operate other computers. (check first to see if this program is in the windows directory. You will have to tell netscape or your browser where the program is.Put thetelnet disk into the a drive after you have completed your editing with the word processor. Go to the main tool bar of netscape select options, then general preferences and then apps. Record the information- address in the telnet app slot slot (you will have to replace this when you are done) and browse the a drive next to the telnet app slot. Your telnet program will load each time you enter telnet: into the netscape window and hit enter. Web Page Editor- A web page editor streamlines the process of creating and editing web pages. As soon as I locate one which will fit installed on a floppy disk I will link it here. 1. They should be available as installed on floppy disk and uninstalled on floppy disk. 3.You may have to install the programs on the host computer. In which case you will have the browser open the file. Simply open file menu and select view in browser. The program will then install and run. 4. If possible remove your progreams and settings from the host computer. Record all changes so you can change them back. Often simply shutting down netscape and re starting it will erase and re install settings. As a resident of the Internet vilage you will have the task of a census official. The best way to do this is to create categories related to topics of interest. to each sub category of your interests. Title them and record in them the addresses. Carefully note the significance of each and relationship to your interest. or a forwarding address for the missing pages. if possible make a paper copy of the welcome message. e.mail contacts. Be a conversational and friendly and helpful member of the villiage. 1. Take time to wander around the Internet. It gets easier and easier the more you use it. 2. Download the tools programs onto floppys-get ready to travel! 3. Define your interests and set up a bound book in which to record addresses. you will be free from the miseries caused by computer and server failure.